301 p., 18,1 x 25,4 cm. The first volume contains the correspondence between Bolzano and his student and friend M. J. Fesl between 1815 and 1827. Their letters deal mainly with the legal action taken by the church and the state against Fesl and Bolzano. Thus this volume is an important historical source for the so-called Bolzano trial. 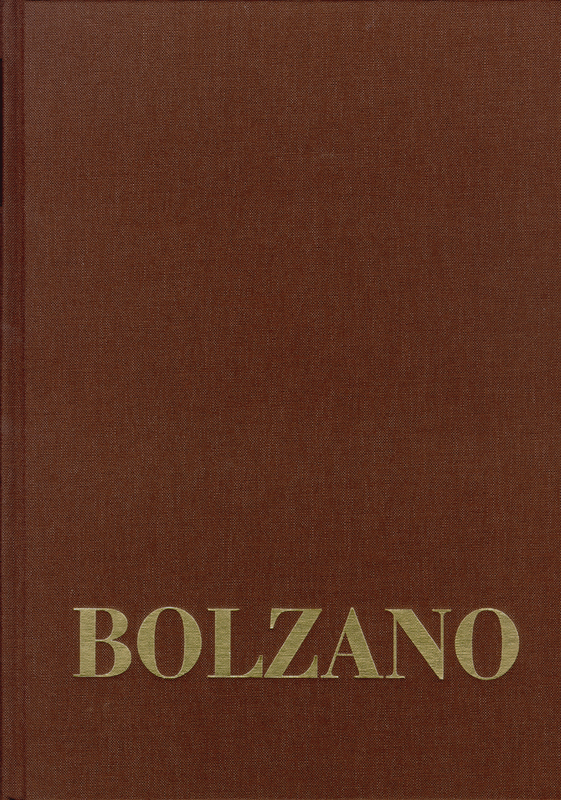 The correspondence between Bolzano and Fesl during the following years (1828–1848) deals with various subjects and gives important biographical information about Bolzano and Fesl. Furthermore there are some letters written by Bolzano to Fesl which are relevant from a philosophical perspective, in particular in view of Bolzano’s theories on aesthetics.